Michael Pineda was supposed to be a key acquisition made by the Yankees two years ago when they traded highly touted prospect Jesus Montero for him. Quickly in his first spring training with the Yankees he was dealing with arm issues and it was discovered that he would require shoulder surgery that will cause him all of the 2012 season. 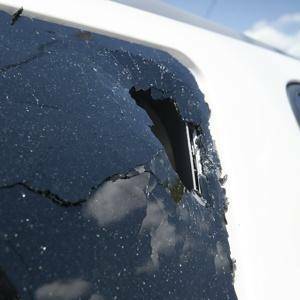 Pineda made headlines yesterday by having his SUV window smashed in by a home run at the Yankees Tampa complex. This wasn’t exactly the headline the Yankees envisioned him making. Pineda is scheduled to throw an extended spring training game soon which will be followed by a minor league rehab assignment. It’s amazing that a smashed windshield is what it took for people to remember that Pineda is still apart of this Yankee roster as he could be a helpful piece down the road. The 24-years-old RHP and has plenty of time to prove this was a worthy trade. I was all for this trade at the time it happened, you could sense early on that Montero would quickly become nothing more than a full-time DH, which is a position that can easily be filled. Montero hit only .260 last season with 15 home runs and is batting a mere .205 so far this season, it appears the Yankees made the right call in dumping him. It’s just a matter of it they traded him for the right player as the Yankees had many opportunities to trade Montero. Young starting pitchers are not easy to come by and are usually quite expensive. In Pineda’s rookie season, on a very bad Seattle Mariners team, he posted a 9-11 record with a 3.74 era while averaging more than a strikeout per inning. These are very promising numbers and if he is able to return to form he will give the Yankees some much-needed youth and depth to their pitching staff.